Most business owners take out insurance cover to protect the business against property damage (fire, theft, floods etc) or against liability claims (Employers Liability & Public Liability). However equally important is to have cover for Consequential Loss or Business Interruption. 80% of businesses that suffer a catastrophic loss e.g. fire or flood will not survive longer than 2 years after the event if they don’t have BI cover. Most insurance packages for businesses automatically include cover for Business Interruption losses. However, it is vital to make sure that the sums insured are adequate to ensure full protection against a loss of profit. 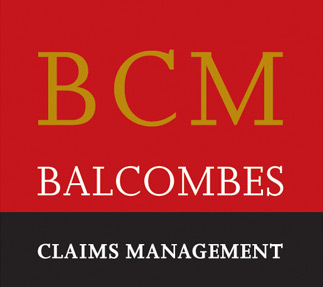 The standard period of indemnity is for 12 months. In the event of catastrophic damage to a building it needs to be considered in advance, how long it may take to re-build. Following a fire there could be a need to apply for planning permission if a building has to be demolished and re-built. It could take months to get an architect and an engineer to design and get all the necessary plans in place and tenders obtained etc before any rebuilding work can even commence. The “worst case” scenario should be allowed for. The accessibility of the site; how the building is affected by neighbouring properties; whether there are any specific features or restrictions that may affect progress, could mean a premises could easily be out of action for longer than 12 months. If an 18 month indemnity period is selected the sum insured should be calculated to be 1.5 times the future annual gross profit, if a 24 month indemnity period is requested, the cover is provided for twice the future annual gross profit figure, covering a 24 month interruption period. The business interruption cover is based on the Gross Profit for the period required to restore the business to its previous position. This includes any trends in the turnover, e.g. if the business was growing at 10% per annum. In that case the gross profit should be based not only on 10% increase on the previous year’s performance, but if the loss was to happen on the last day of insurance i.e. 12 months from now. Projections for an indemnity period could be for 12-24 months into the future. The future turnover therefore could be up by 21% on the current period by the time the loss is settled e.g. if last year’s gross profit was €1m – plus 10% = €1.1m projected for this year, plus 10% growth projected for next year = €1.21m. The 12 month indemnity period could extend to 24 months from today if a fire happened on the last day of the current insurance period. The Business Interruption cover therefore should be pitched sufficiently to insure for that future value at risk, adjusted pro-rata for any indemnity period greater than 12 months. The sum insured selected needs to take into account the future projected annual Gross Profit and the required length of indemnity period required to re-instate the business. Most Business Interruption covers have a “material damage proviso”. That is, there must be a material damage loss and policy liability under the property damage section before the business interruption section becomes operative. There are occasions when this is negated by extensions that can be selected e.g. denial of access clause, whereby if the local authorities cordon off access to a business premises for safety purposes resulting in loss of turnover/profit e.g. a fire or explosion in a neighbouring property. In the recent floods in Donegal there were businesses cut off by bridges being washed away. Or there could be a “suppliers” or “customer’s” extension which would provide cover in the event that turnover is affected by an insured event occurring in a suppliers or a customers premises, that has a direct impact on your turnover/gross profit. It is essential to notify your insurer/broker of the loss. The property policy schedule needs to be assessed to establish the level of cover in light of the facts of the loss. There may be specific endorsements, warranties or exclusions applicable, and it is vital to gather the evidence that you were in compliance with them. Damaged contents or stock etc should not be disposed of, until a Loss Adjuster from the Insurance company has inspected it. If necessary it can be segregated and stored for later inspection, if it is essential to move them urgently to restore trading or to mitigate against further loss or damage. Next, a detailed inventory needs to be taken of all damaged property, which can be valued later. Photographs of all damaged items should be taken and retained as evidence. Most property damage policies include cover for property in your custody or control or for which you are responsible, e.g customer’s or supplier’s goods, leased machines, employee’s effects. There is generally additional cover for demolition, debris removal, professional fees and the costs of complying with Local Authority requirements. The typical cover is for loss of trading income or gross profit (as defined in the policy), less any savings that may accrue to the business as a result of the closure e.g. staff wages if employees have to be laid off, or rent, light, heat and power. The cover will generally include for any increased costs of working e.g. increased rent on an alternative premises, expediting repairs, overtime, advertising, accountant’s fees etc. Increased costs can be agreed in order to try and resume trading to retain customers/turnover. Such expenditure is justified provided it has the economic effect of saving the business from a greater loss. The business interruption loss is calculated by examining the weekly or monthly turnover in the 12 months before the loss and comparing it with the 12 months after the loss and deducting any savings and adding any increased costs. These figures can be obtained from the management accounts for the business, or if these are destroyed, from the accountants for the business, VAT returns, bank statements etc. The definitions on the Business Interruption policy are specified and take priority over the standard accounting definitions, so it is best to get the advice of an experienced business interruption loss assessor to ensure all the information is captured and the business interruption claim is properly presented and negotiated.